Traditional black & white floorplans are still a principal asset for the leasing offices and architectural companies. Let’s unravel this story a bit deeper. 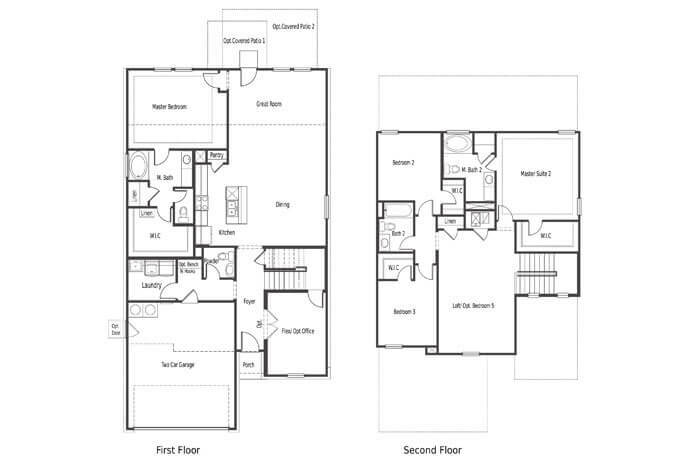 How Does Black & White Floor Plan Help? The foundation of the architectural drawings is the floor plans. Whether it’s a drafter who creates it or the engineer who use it for further specifications of the project, everybody is involved in the floor plan in some way or the other. No other type of drawing gets this amount of attention in the architectural process. Floor plans help in precisely portraying and showcasing the important components of a single floor of the building from the top view angle. It is mostly seen from the vertical position in between the ceiling and the floor. Primarily, the floor plan is responsible to showcase the exact positioning of the components like walls, doors, and windows. Then, there are further physical features added like columns, beams, interior elements, sinks, furnaces or water heaters based on the project type and personal drawing style of the architectural company. How Does Black & White Floor Plan Help in the Architectural Process? Majority of work happening in the architectural firms is in black & white. It helps in keeping the drawings more delineated yet simple for clients to read. We have understood that all types of floor plans are mainly used for “selling” the design idea to the potential stakeholders or buyers. The black & white floor plans are majorly preferred because they retain simplicity along with the exact specifications to further help in construction or marketing. However, the colored floor plans mostly end up being part of the architectural websites and brochures for marketing purposes. Whenever the actual construction process initiates, the foundation plan scores the maximum points because you need the foundation plan to create walls, doors, windows etc. In smaller projects, the information is usually incorporated with the floor plan to determine the salient structural information. At the design development stage, a project architect provides the floor plan to the structural engineer who designs the components of the building further. 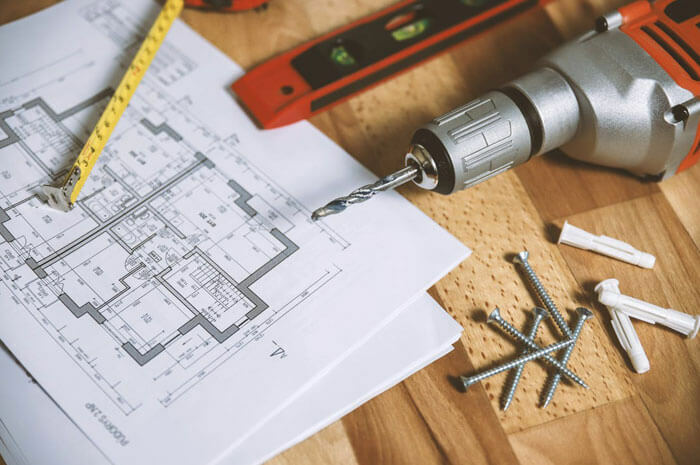 In some cases, an engineer might suggest few changes like moving walls or changing columns and this leads architects to make similar amendments in the construction drawings which would accommodate the most important structural design changes. MEP (mechanical, electrical and plumbing) engineers also follow a similar process where the same steps are repeated in that particular design process. This proves that the floors plans are of great importance because all other drawings are created using these floor plans. Floorplan sketch shows the dimensions and the basic layout of a house. The sketch has been kept simple and, in most cases, not drawn to scale. Additional elements like chairs, beds, tables etc have been added to decorate the simple plan. Construction floorplan plays a vital role in changing the black & white floor plan into an actual building. This floorplan is quite detailed including every single detail. Construction floorplan should be checked multiple times because the builder will work further using these drawings. Usually, the contract is finalized and taken further with the understanding that these floorplan details are completely accurate. Site Plan delineates the exact ratio between the position of the house and the boundaries on the allotted area. This should be followed carefully because every council has different specifications for the distance between the house exterior walls and boundaries. The importance of floorplans is to demonstrate a relationship between spaces and rooms. Floor plans prove to be beneficial for the home building, real estate marketing, interior design, home design, and architectural projects. Any sort of home design project needs the floor plan designing as an initial step. Architectural designers and drafters use the floor plans as a communication tool to convey their ideas more effectively and clearly. It also helps in promising the potential of the design layout. Floor plans also help in achieving better and accurate pricing by designing a before and after layout which demonstrates the scope and scale of the project to a contractor. In addition, the floor plans also support the creation of furniture layouts which helps in deciding what furniture articles would fit or not. This definitely saves both of your time and efforts involved in setting up a new place and it also indirectly saves your cost on unnecessary mistakes at the architectural level. We have now understood that the floor plans are commonly used for selling a building, illustrating new houses, creating real estate buildings, planning home renovation and home improvement projects. We all dream to build a new home or renovate the existing one for adding a character to the architecture. If the concept of architecture is clear from the start (floor plan), we would be able to create beautiful surroundings meaningfully. BluEntCAD is a company who excel in various services like architectural designing and rendering services in USA. If you want to know more about this, please contact here.